Her reply was, “Probably not, but to be safe, I think I would change the name of the town in my story.” It was too late. 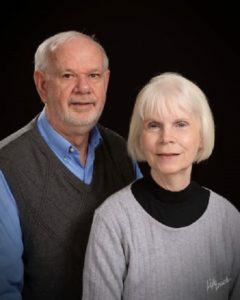 By then, two of the four Davis Morgan Mysteries had been published with Adairsville, Georgia as the setting. There was no turning back. That workshop leader later informed me if I was not sued within one year of the release of the book, I was safe. I sort of hold my breath for one year after each book comes out. So far, no law suits. The history of our city as well as its landmarks are everywhere in the stories, but I am extremely careful to create characters who are not even close to being like their actual counterparts in town. For example, if the police chief is young and thin, the one in my book will be overweight and ready to retire. If the mayor in our town is loud and extroverted with a thick head of hair, the one in the story will be timid and bald. When my wife and I started writing the series, one of the things we decided we wanted to do was promote our little town of five thousand people. Its history is long and fascinating, and many of its landmarks are exceptionally interesting. More people need to know about such a charming place. I’m not sure if we have accomplished that as well as we hoped, but the setting has enabled us to generate a lot of new local fans for our books. I’ve seen no sells records, but since I own the only bookstore in the immediate area, I can tell you that our books outsell John Grisham, Stephen King and James Patterson locally. I haven’t fooled myself into thinking that is because we are better writers than those gentlemen. Locally, people like our setting far more than the faraway places used by those more famous authors. It is my opinion that the setting can become another major character in a work of fiction. Not long ago a lady told me her mother, who is getting on in years, having always been a resident of our town is now confined to a bed in a nearby nursing home. The lady informed me that her mother gets out of sorts if her granddaughter does not show up to read to her at least once a week. “The only thing Mother will let us read to her is one of your mysteries. She loves it when she recognizes the places you write about,” I was told. A group of ladies from Dalton, Georgia, which is thirty miles up the road. became interested in our Davis Morgan stories. They decided they wanted to see the places they were reading about. One day they came to Adairsville for lunch at the 1902 Stock Exchange, a prominent Davis Morgan spot. Then my wife, Wanda, took the six ladies on a Davis Morgan tour in which they saw ten or twelve locations they remembered from the book. Wanda anticipates giving other such tours in the future. Several years ago, when the Mitford books were so popular, I would occasionally see bumper stickers that declared, “I’d Rather Be in Mitford.” I visualized “I’d Rather Be in Adairsville,” bumper stickers on cars across our nation. All because of our books. It hasn’t happened so far, but it’s not over yet. The fourth Davis Morgan Mystery, LIKE A TREE has just been released and we are starting a new series with new characters, but in an old location. The new series will also be set in Adairsville. 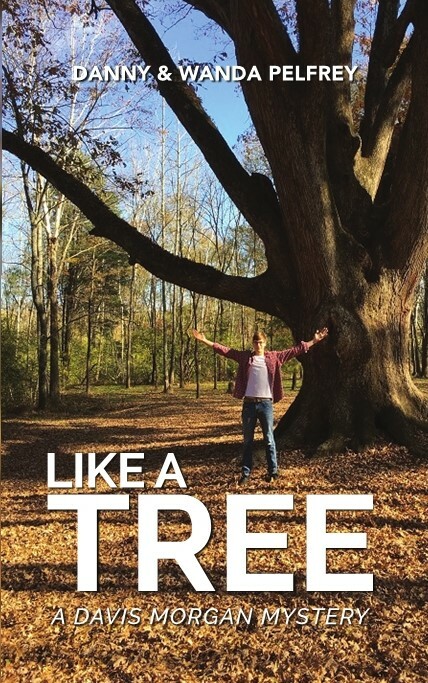 Thank you for being part of the book tour for “Like A Tree” by Danny Pelfrey & Wanda Pelfrey. Really enjoyed reading the importance of the setting in a cozy mystery as well as learning more about both book and author. I would love the opportunity to read this great sounding book. Thanks for featuring LIKE A TREE. You are appreciated.